Features - B2C Ecommerce Platform Features | Miva, Inc. The tools you need to sell more – more efficiently – than you ever thought possible. A fully customizable and scalable system, thoroughly supported and delivered securely through the cloud. All facets of your ecommerce operations (content, data, etc.) are supported in a unique, PA-DSS certified software instance, complete with fail-safe streaming updates and unparalleled stability. Miva's platform is designed to handle the unique requirements of an enterprise business (complex data sets, large SKU counts, configurable products, pricing and customer groups, etc.) while giving you access to the data you need to run your day-to-day. Our suite of enterprise tools seamlessly connect front-end shopping experiences with the back-end systems that help manage day-to-day operations. A second is an eternity in ecommerce. Our sites consistently respond in 1/3 of that time, ranking us among the fastest ecommerce stores on the web today. Your site will be fully PCI 3.0 compliant, protecting against credit card data breaches so that your customers can shop securely. Both our software and hosting environment can handle extreme amounts of traffic, with the ability to scale up resources in a matter of seconds. Your Miva software is hosted in our own data center, where we manage every technical aspect of your ecommerce store. Our expert team of system administrators and state-of-the-art monitoring systems ensure your site is running smoothly around the clock. 99.99% – Our clients process over four billion dollars a year on our platform, and demand perfection. Leverage an exceptionally flexible template language and theming system designed to support your unique business rules and processes. 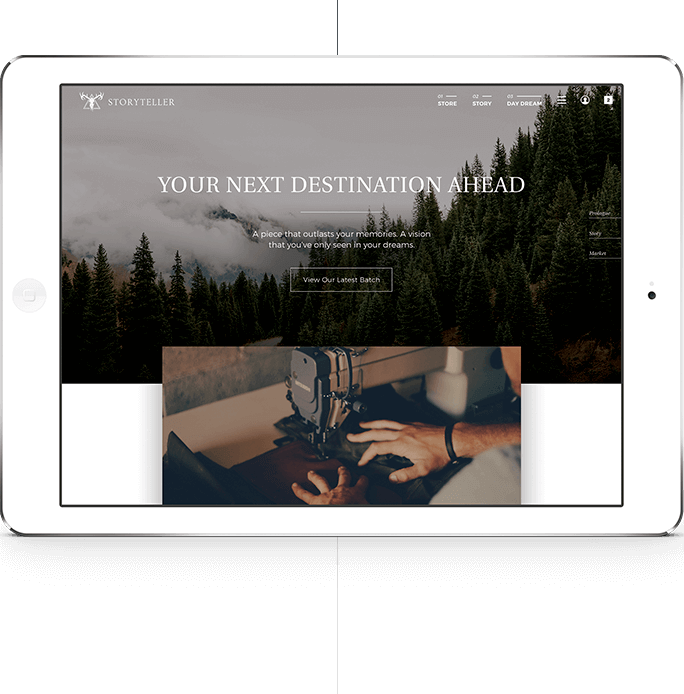 Gorgeous, fully responsive theme templates pre-designed for aesthetic power and ease of use. Responsive frameworks build stores that render beautifully on any device. The most flexible template language available anywhere, so the only limit is your imagination. Upload and manage all site assets, including images, video, music, PDFs, animations, and GIFs. Customize all aspects of your store with fine detail control, including colors, fonts, banners, and layouts. Navigate all Miva features with new Search, History, and Bookmark functions. A fluid, easy to use image library & image selection interface. Add an unlimited number of custom fields to products, customers, categories, orders, or your checkout process. Full CSS style resources available. Create unique pages with custom layouts to feature new product releases, sales, news, and other special content. Integrate your store and blog seamlessly with WordPress. In instances where in-person interaction is required, allow for 'submit a quote' (B2B ready). Detailed video tutorials for rapid assimilation. Schedule a consultation for a full-design package to build the design and workflow of your site. Showcase your products in any manner imaginable. Everything – products, categories, attributes, levels, kits and more. Select and view a preview of your product images with dimensions. Add and organize images instantly, with unique images for individual attributes. Upload the highest quality image available for automatic resampling to all desired sizes. Catalog section tabs manage and increase search optimization. Import new product data one at a time or in bulk. Arrange inventory by product, variation, sub-category, category, and custom fields. Mix and match products and attributes to create bundled products or 'kits', accurately reflected in inventory levels. Set up logic based functions to automate merchandising functions, e.g., if a product is sold out, automatically update the product page. Suggest related products, products recently viewed and purchased, bundle deals, and add-ons. Create unlimited attributes (size, color, fit, part, length, diameter, etc.) to add to a product's description. Customers can build complex products by selecting from an unlimited number of product attributes. Customize product display with checkboxes, radio buttons, text boxes, swatches, and drop down choices. Set price group rules to offer promotions based on shopping cart conditions. Quickly view and edit active / inactive products with name, image, category, and inventory levels. Activate and deactivate products by simply checking a box. Group products and product types by attribute. Include unique keywords for enhanced customer discovery. Upload unlimited product photos with easy drag-and-drop interface for immediate auto-resizing and display. Override and re-write meta title and description, or populate dynamically. Bulk update products by importing via csv, xls, or xml file. Assign weight to products for easy shipping calculations. Turn any product into a digital download. Select products for upsell or rely on system defaults such as best-selling, most viewed, etc. Design and modify your stores infrastructure and organization methodology. Structure your categories quickly and easily with an intuitive management interface. Configurable drag & drop spreadsheet imports for rapid catalogue updates. Build multi-tier categories in a tree like structure. Create a category description to explain a category in further detail. Easily change the order and tier - all products move with category when re-ordered. Organize multiple tier levels effortlessly with drag and drop capability. Organize products within a category quickly using a visual sorting feature. Help customers to find a category by including a list of additional keywords to locate a specific category. Override current Meta Title and Description for any category. Improve search-engine ranking with built in SEO best practice tools and frameworks. Comprehensive indexing and tagging for consumer searchability of pages, content, inventory, and products. Clean URL's are easily indexed by search engines. Allow search engines to display content like pricing and imagery. Take full control over your page descriptions and titles, ensuring search engine visibility. Override meta title and description for any category. Create automatic redirects on the fly. Automatically create a specific sitemap.xml to index every URL on your site. Gain total control of your page URL's using our lightning fast URI management tool. Customize naming and structure of site links with clean, easy to read URLs. Enable short links for optimum URL paths. Built-in automatic site mapping for Google-friendly URL indexing. Total control of page structure. Design every element of your shopping experience. Unlimited product photos with dynamic display options including a built-in light box. Display cart totals (including shipping estimates) throughout the purchasing process. Easily configure automated product feeds. Assign unlimited custom, dynamic displays, rates, and shipping options for business customers. Customers can follow a smart navigation path to the current page with clickable links. Easily index content including automatic site-map. Configure customer search results layout from an easy to use tab. Assign common keywords to products and categories to make customer search results accurate and relevant. Assign products to one or more categories. Pricing, availability, banners, coupons, recurring visits, and more using our logic based templates. Want advanced UX design assistance? Explore our Professional Services here. Visit a central library upload and manage all digital assets. Schedule specific publish dates across a wide variety of promotions, feeds, and assets. Allow your customers to submit full or partial quotes for review and processing. Quick login through trusted partners. Assume total control of your merchandising and promotions. Configure coupons with restrictions for date, number of uses, and per shopper use. Call attention to products, categories, sales, and more - anywhere on your site. Arrange products within category and sub-category views for prime positioning. Plan a specific time range for promotional offers in advance. Increase conversions with upsell, cross-sell, related product, and bundle offers. Configure upsell products based on basket contents. Create special pricing rules for retail customers or B2B wholesale accounts. Set logic-based promotion criteria, by price, attribute, and more. Batch generate unique coupon codes, or auto-generate and display in real time based on customer actions. Create exact conditions for promotional offers. Remove individual products from any promotional offer. Create gift card design templates, offer tiered card value, edit, and track remaining balances. Customer service reps can add to / manage customer account balances. Create a streamlined, secure checkout process – a 100% customizable user experience. Configure 1-4 page checkouts with unlimited layout options. Support for multiple languages, currencies, taxes/VAT, warehouses, and international shipping prices and customs. Provide product zooms and multiple alternate images. Customers can quickly view product information and add to cart from any site page. Logged-in customers can see previously viewed products. Easily manage your subscription and recurring billing – 100% built in controls not found in any other ecommerce software. Facilitate faster transactions, easier return visits and status updates, and vital data collection via customer account set-up. Live calculation of shipping charges based upon anything – flat rates, zone, weight, freight, price table, or quantity. Calculate shipping fees automatically for a host of carriers/methods, with live rates for USPS, UPS, FedEx, and CanadaPost. Process payments via PayPal, Amazon Pay, Quickbooks Merchant Services, Payflow, Authorize.net, Chase Paymentech Orbital, Cybersource, and First Data Global Gateway. Gateway agnostic tokenization engine, full customer account wallet support. Offer customers account credit, EFT, ACH, commercial card, check, and purchase order payments. Integration with tax systems like Avalara, Accurate Tax, and TaxCloud. Apply state, national, and custom tax rates automatically. Exclude payment methods at product level or by order/geo data. Engage, calculate and compensate affiliates. Handle all sensitive transaction data in line with PCI standards. Display and manage complex shipping rates and rules for any type of product, any weight, anywhere. Administer shipping rules, calculators, pricing and methods at the click of a button. Add, edit, and sort active / inactive shipping methods, via a drag and drop capability. Easily configure your preferred shipping carriers and methods (Group, 3 Day Air, Priority Mail, First Class). Manage restrictions and rate adjustments for any active shipping method. Ship by weight, size, offer table calculations, and generate price tables. Dynamically display shipping metchods via a drag and drop interface. Generate immediate, location based quotes provided by shipping carrier. View tier shipping rates based on order size. Restrict shipping methods to specific countries, regions, basket sizes, or customer groups. Offer free shipping throughout your store, or on a per product basis. Export shipping data to study costs and trends in your store. Sell anywhere you have a signal. Manage and fulfill of orders with comprehensive tracking, customer communication, editing, and status updates. View and sort orders by order number, date, status, batch. See customer information, edits history, order status changes, and tracking information. Display orders by status or date. Jump to specific orders by entering search criteria (customer name, order ID, status). Show a detailed summary of an order's activity – easily sharable with your customers. Edit order status, including marking as back-order. Automate communication of tracking info to customers at every status change. Compile and export order data into easily exported lists and spreadsheets. Monitor status, tracking, inventory availability, shipping, discreet shipments, and additional payments. Track, manage, and approve returns quickly and painlessly. View a detailed list of returns, and filter by return status or date. Access a detailed return summary page with order number, reason for return, and customer commentary. Approve (or reject) returns with the click of a button, refund the full or partial purchase amount. Predict, control, and distribute inventory to maximize profit and customer satisfaction – unlimited categories, products, attributes, and configurations. Track product availability, attribute combinations, unit cost, sale price, orders, back-orders, and returns. Integrate with vendor systems for instant status of inventory availability. Adjust/update inventory data manually when needed. Monitor 'in basket' products – automatically or manually delete baskets when necessary. Amazon-compatible inventory strategy with dedicated tabs for creating and editing listings and managing orders. eBay store-compatible inventory strategy for listing multiple auctions with configurable attributes and pricing. Automated notifications for low stock or out of stock. Let customers know current inventory status, ie in stock, number remaining, back-order, sold out, notify for updates, or a custom message. Import/export all inventory and sales data, with the ability to sift results by date, product, orders, and more. Build sales, foster brand loyalty, and reduce demands on customer service by analyzing your store's audience and trends and allowing customers to customize their experience. Customers can store multiple shipping and billing addresses. Enjoy a gateway agnostic tokenization engine, and full customer account wallet support. Allow customers to create, name, and edit lists of products, and easily transfer products to basket. Customers can choose to make lists public, and browse the public lists of other users. Compile and view detailed snapshots of your customer accounts. Quickly find a specific customer by searching by name, email address, order #, etc. Digitally assist a buyer's shopping experience mid-stream upon request. Customers can create accounts for easy access to order status, wish lists, and special promotions. Set up B2B/wholesale accounts to offer special price group discounts and set specific product displays by user, purchasing group, or business entity. Control which products and pricing are seen by different individuals or customer groups. View/export all customer data, including email address, add-date, purchase history, and preferences. Apply credits and gift certificates to customer accounts. Set up automated emails triggered by order activity, status changes, tracking updates, or other custom behaviors. List products on Amazon, Google Shopping, Ebay, Etsy, and more – and manage these orders from one single interface. Create eBay or Amazon listings for products and link to seller accounts from built-in tabs. Create unique content for each listing, including photos, names, descriptions, and prices. Sync and manage all external marketplace orders, auto-download into your store Admin panel. Create multiple listings per SKU to highlight different product attributes or names. Communicate with customers automatically upon order activity or status change. Create user groups with unique admin rules for each marketplace. Pull orders from all online marketplaces automatically, even for listings originated outside of Miva. Etsy, Ebay Motors and Amazon UK now supported. Easily configure Google PLA feeds. Manage inventory, orders, content, marketplaces, shipping, fulfillment, analytics, and reporting – from a single view. Index and tag your admin panel for quick search of pages, inventory, and admin functions. Assign roles, functions, and access based on job function. Seamlessly navigate your responsive administration interface across all devices – optimized for speed, usability and touch interfaces. Manage permissions and update passwords for customers and administrators from a single source. Monitor user activity by viewing login history. Create role-based management groups (marketing, design, IT, etc). Grant access and modify the user experience by role – displaying products, imagery, and content dynamically. Manage your entire inventory, set alerts to automatically stop selling when inventory is out. Integrate Google Analytics to track site traffic, sources, page views, conversions, cross-referenced with revenue. Edit orders on the fly to reflect up to the minute changes. Issue, track, and email Return Merchandise Authorization (RMA). Issue refunds upon completion. Create batches of orders or shipments, process batch actions. Generate automatic response or email sequences with custom templates and triggers. Orders and returns, issue tracking into, offer specialized promotions based on customer profile/action. Fuzzy search, quick links, bookmarks, breadcrumbs and recent history make admin navigation fast and intuitive. Create custom views for frequently searched data. Use drag and drop tabs to easily design a custom workspace. Tightly integrate front end purchasing with the systems your business depends upon, including Accounting, CRM, OMS, and ERP. Integrate essential shipping and fulfillment solutions – ShipStation, ShipWorks, Ship Rush, UPS Worldship, Ordoro, and more. Create customized, sortable, order fulfillment 'pick slips' to support your warehouse team. Configure and map data in any manner your business requires – for quick views and agile decision making. Built in support for label printing via UPS, FEDEX, and Endicia for USPS. Coordinate the efforts of your marketing, shipping, and product departments via an integrated management interface. Generate comprehensive reports to analyze trends, traffic, and order activity for the guidance you need to map a successful digital strategy. Quick install of tracking code on all site pages. Access to visitor activity data, universal analytics and enhanced ecommerce tracking. Compile and export custom data reports – gross revenue, location, product sales, category, customer, and more. Monitor and control inventory with reports and custom-trigger alerts. Pinpoint trends in order activity at a glance with custom sifting and side-by-side comparison by date and time period. List top purchased products, sort by revenue, profit, and more. Analyze shipping methods and costs to offer customers the most cost-effective options. View real-time on site activity, with the ability to drill down to device type. Map where sales are coming from, with revenue breakdown by country, state, and city. *Requires customization. Please contact our Professional Services department.